Small private histories set against large collective experiences are the concepts driving my large-scale, intricate charcoal drawings. 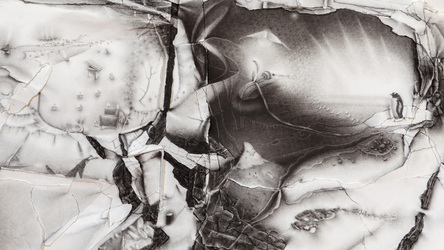 I shape and disrupt the picture plane by tearing, folding, and distressing the paper while rendering images such as domestic interiors, geological formations, objects, and weather, in which an evolving narrative emerges as I draw. Informed by extensive reading and image banks, my work draws upon personal and cultural memories, news events, Buddhist teachings, art, and poetry. My aim in this progression is to viscerally amplify a visual correspondence to forces felt in the world and in us—forces both intimate as well as social and environmental.